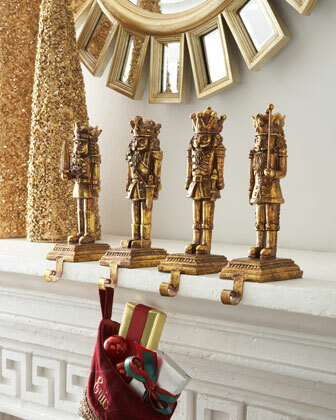 We have a bit of a nutcracker collection happening in our home. In previous years, they have taken up every flat surface in our home, resulting in a cluttered, unfocused hot mess. I’m fairly happy with how we’ve displayed them this year, contained in one space — the ledge that is on our staircase landing. 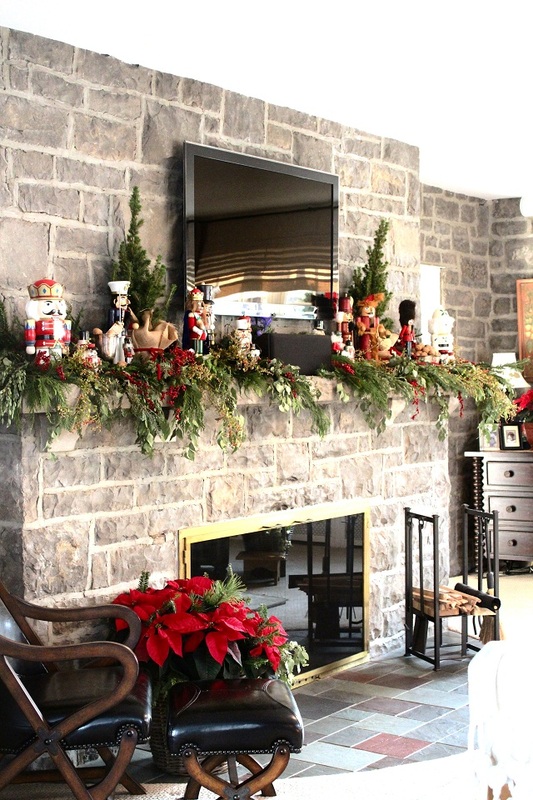 As I mentioned earlier this week, I want to do something with the art in that space for next Christmas, replacing our paintings temporarily in favor of something more “holiday-ish”. But that’s another project for another day! 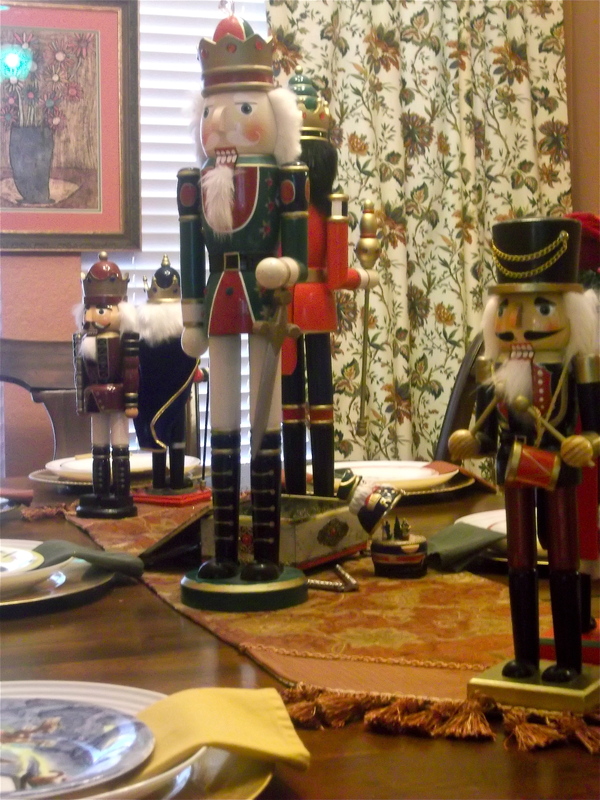 Our nutcracker situation also got me thinking about nutcrackers, and how they’re such a classic Christmas symbol. 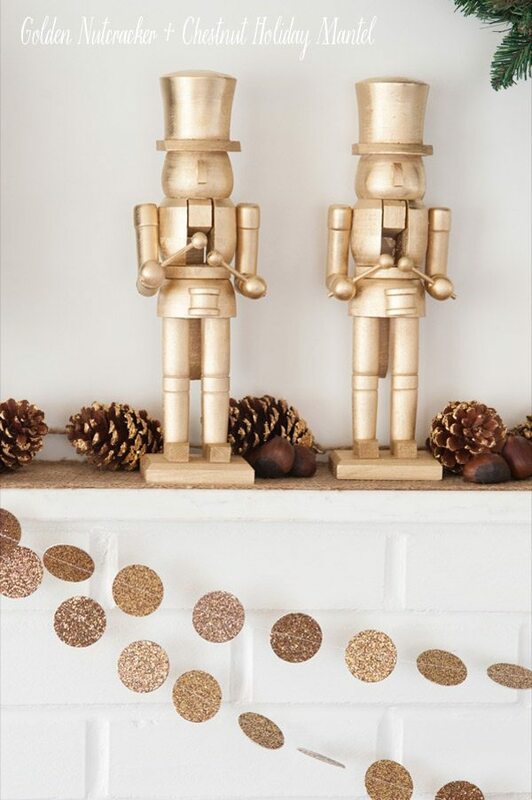 I searched around, and pulled some inspiration for other ways to incorporate nutcrackers into holiday decor. 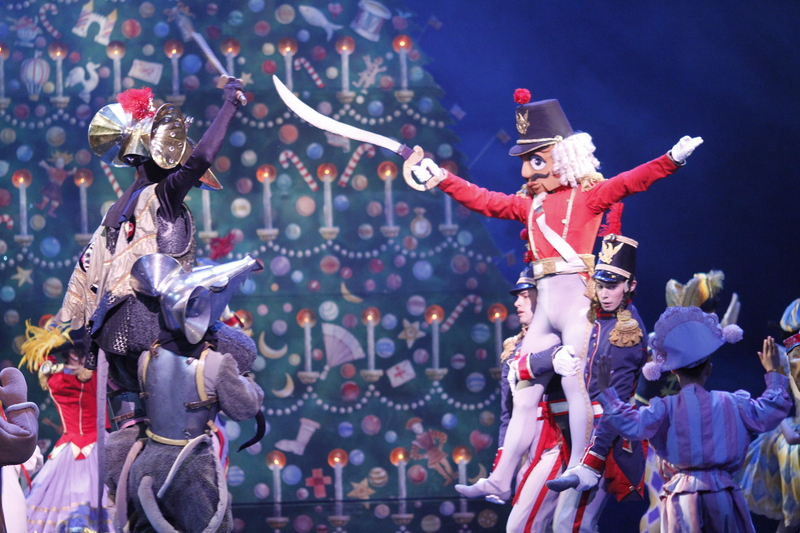 I have fond memories of seeing The Nutcracker downtown Chicago as a little girl. I can’t wait to take my boys here in DC! In the meantime, they’ll have to just enjoy our collection! 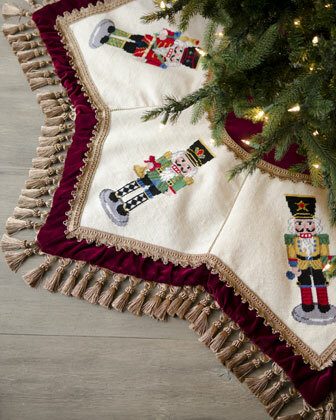 That tree skirt is adorable and nutcrackers are always so classic and fun to decorate for the holidays! Your ledge is a perfect landing spot for nutcrackers! I always prefer collections to be gathered in that way as opposed to spread around the house. 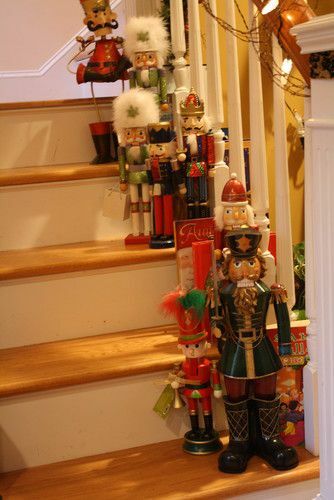 I love the idea of nutcrackers on the stairs, although kids obviously don’t live in that home! I just noticed the fun holiday decorations in your shop, too, especially all the angels. Those would make a nice collection as well. 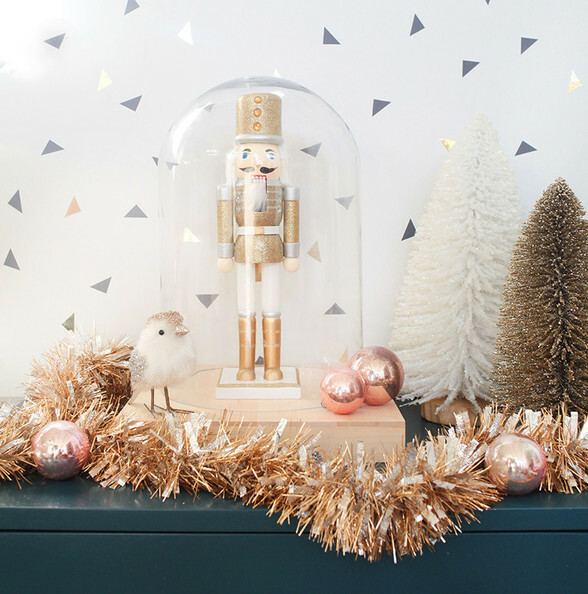 My brother has quite the collection of nutcrackers and this post offered some great tips on ways to integrate them into decor throughout the house. Love it!